P. INMAN. BOOK LAUNCH and READING FRIDAY February 20th: 8 pm Western New York Book Arts Center, 468 Washington Street (at Mohawk) P. (Peter) Inman is the author of numerous collections of poetry including Platin (1979), ocker (1982), Red Shift (1988). Criss Cross (1994), Vel (1995) and Ad Finitum (2008). Generally considered one of the founding members of Language Writing and arguably the most committed proponent of anti-representational writing. His latest work, Written: 1976-2013 (if p then q press), which gathers the majority of his earlier writings. Copies of this new work will be available at this reading. What follows is a sixty-minute performance by a machine writing ten six second texts every minute using only six words at a time. They are ordered as they were produced and remain unedited. 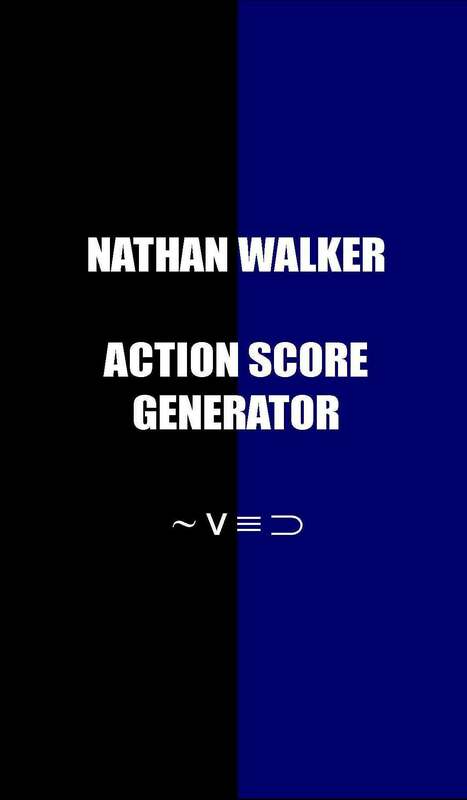 Nathan Walker’s superb Action Score Generator is out today from if p then q, available for £15.